You have unified your data. Where do you go from here? 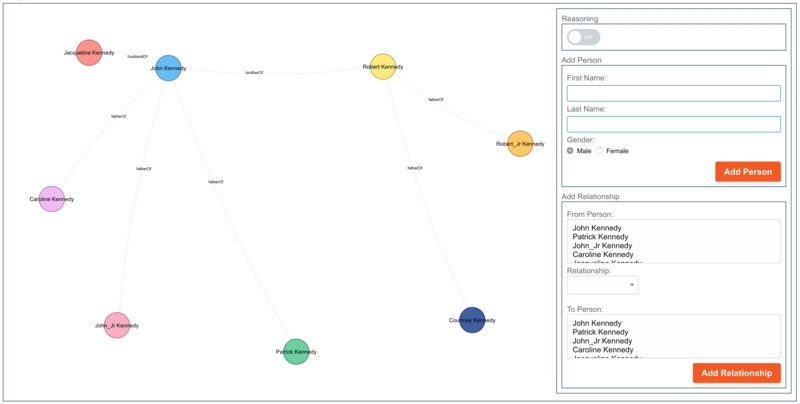 Many of our customers like to enrich existing applications with graph-enabled views. 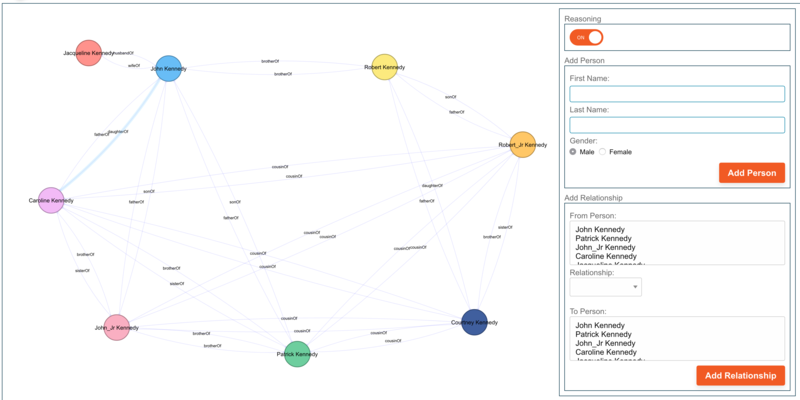 One of the popular use cases is to show a directed graph visualization of relationships in the data. 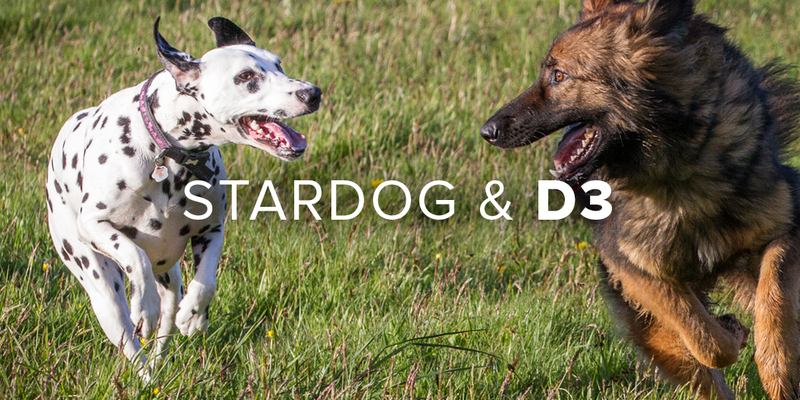 For this, we’re going to explore the D3.js library with Stardog. D3.js is a JS library for manipulating documents based on data. Developers use a fluent API to manipulate documents and generate interactive visualizations using HTL, SVG, and CSS. Rather than express direct representations, D3 provides a transformation API that allows you to control transformations and animations via easing functions such as “elastic”, “cubic-in-out” and “linear”. D3’s interpolators support both primitives, such as numbers and numbers embedded within strings (font sizes, path data, etc. ), and compound values. You can even extend D3’s interpolator registry to support complex properties and data structures. In this post, we’ll focus on the D3 force directed graph library, its features, and how a Stardog model can easily integrate with it. There are other parts of D3 that can be used, including charts, lists, and trees. The force directed graph is going to manipulate an SVG, providing a list of nodes, a list of relationships between nodes, and then a series of transformations applied that will result in the rendering of the visualization. Rather than compute your own layout of nodes in a graph and lines connecting them, D3 offers a force simulation algorithm that generates the layout. Like in all things D3, developers can apply transformations to speed up the layout rendering, group things together, or customize specific behavior. The force simulation will look at each node, and go through a series of ticks until equilibrium is reached and the simulation has come to an end. User interface features such as clicking, expanding nodes, dragging items around, etc. can restart the simulation and apply transformations; for example, when you click a node in the graph and expand all of the known edges and introduce new nodes into the SVG. Finally, each node can be manipulated in the D3 API, allowing you to apply styles and attributes to the DOM element. So, when we want a circle, we’re going to apply the styles and DOM attributes to make a circle on the screen. Ok, this all sounds complicated: entering nodes, applying styles to individual elements to render SVG. We haven’t even talked about data yet. We will guide you through building an application quickly, bundling up these common transformations into a reusable class with callbacks for specializing the behavior to your application’s needs. Let’s start with using stardog.js with GraphQL to find a series of nodes with some data and store some states. As you can see below, the response is directly consumable, and we set it as a property on our component. This retrieves just the nodes, as there may be items in the graph that have no edges we care about, but still want to show that disjoint relationship. To get the relationships, we’ll show a SPARQL query. Notice in the below snippet how we’ll need to map the result set into the D3 form and include a link type. The linkType is of value here, since we’re going to add labeling to the edges in the visualization. The links are in the form of a URI, so we’ll strip out the bulk of that for a label. Applications that care about only specific relationships could easily use some other mechanism, like a lookup table or configuration map to render different labels, colors, line weight, etc. The path queries are a great tool to use to add in clickable behavior into the visualization and find all intermediate nodes along the way. Next, the shouldComponentUpdate determines if the GraphView component should update and rerender the div that holds the D3 SVG canvas. Finally, the componentDidUpdate initializes the D3 library or executes the queries. A query will get executed if the shouldUpdate property is set to true. If not, it will initialize the D3 library and send the data. In this example we have the state transition handled, configuring D3 on the first call with number of collisions the force simulation will run, the radius of the circles that will get rendered, and other display attributes. Finally, the updateWithStardogData callback is present for passing in the node and relationship table that we pulled in earlier. In a non-reactive application, the callback could run the SPARQL queries directly. The main addition to the canvas manipulation described above is showing how to integrate form handlers to trigger the lifecycle events. We can collect data or apply filters, and update the graph view as appropriate. To accomplish this, we start by adding a new React component that looks for a change in properties and then updates the graph properties. This lifecycle mapping pattern in React enables us to focus on the data, and separate the concerns of D3 from UI controls. The contract between the form and the graph view is, then, just those data items that they share. A filter button is even easier, as filters will typically modify the query to Stardog. In those cases, we need only identify the property we want and expose it to the UI. In the end this demo application shows assembling a graph view without getting into low level d3.force calls, or building callback functions. We took advantage of React lifecycle events to standardize on properties of the application, and manipulate which queries run. Our query results turned into more application properties that we relied upon React to update the D3 aware component. This isn’t the only way to integrate D3 into an ecosystem, but we found it to strike a good balance between separation of concerns and flexibility of implementation. In this blog post, we looked at how applications can be built using stardog.js, D3, and the different ways to query Stardog along the way. The full example is available in the stardog-examples repo. You can read more about GraphQL support and path queries in Stardog. If you’ve used D3, or any other visualization library for that matter, we’d love to hear how new applications elevate unified knowledge into an organization.